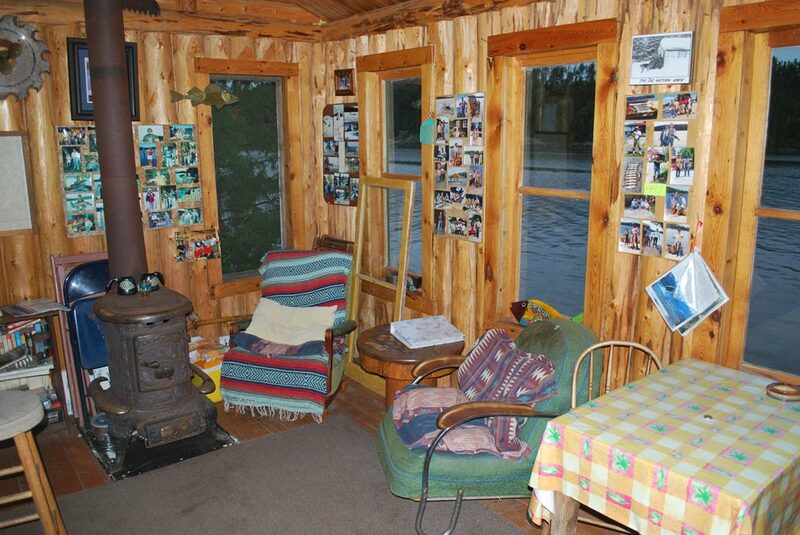 At Woods Cabins fishing resort there are a total of nine rustic housekeeping cottages located near the waters edge, each with running water, Coleman lamps and a wood stove for heat and comfort. The refrigerator, cooking stove and light all run on propane. 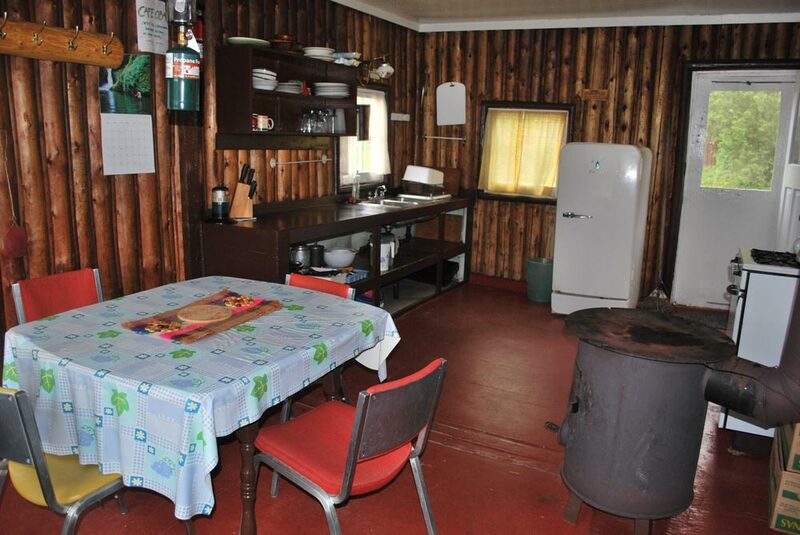 For your cabin, we provide all the necessary cooking utensils and supply blankets, pillows and pillowcases on twin-size beds, but please bring a set of sheets or a sleeping bag, towels and kitchen pads etc. 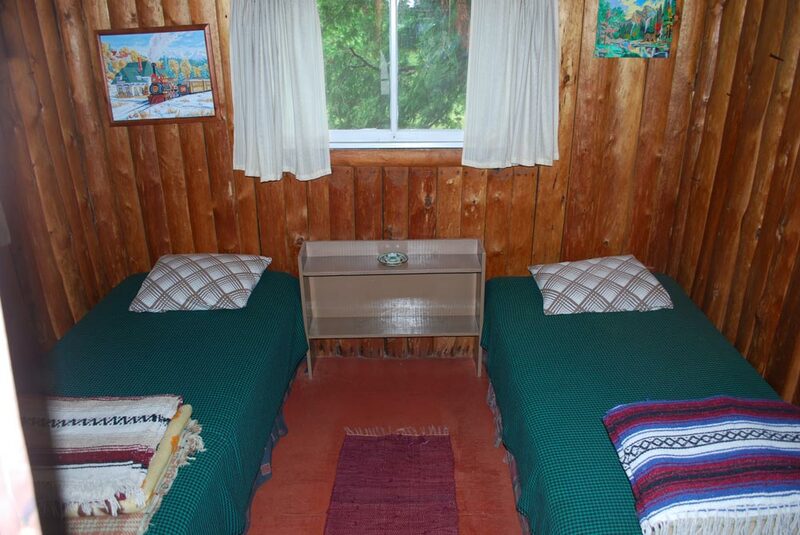 Cabins have two bedrooms and a living room and easily accommodate 4-5 people. 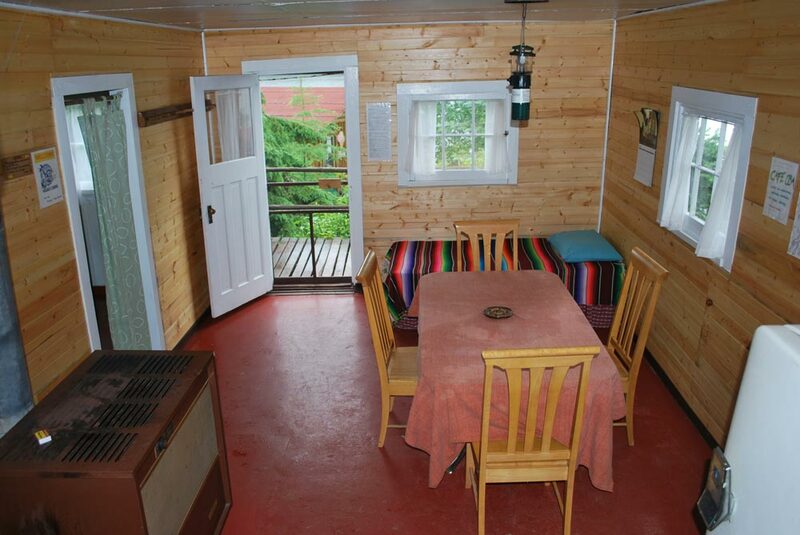 Two larger log cabins comfortably accommodate 8-9 people. Tucked privately away in a little cedar-sheltered cove is a Finnish sauna – a popular post-fishing relaxation offered 2-3 times a week. trapper and other handmade souvenirs are available here. 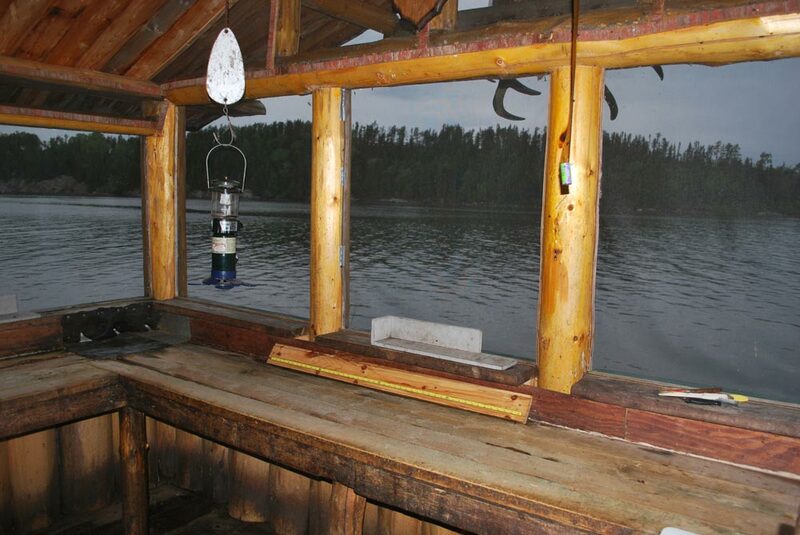 The fish house overlooks the lake and is the central location for sharing latest “hot spot” stories. There’s also a large B-B-Q grill for cook-outs, a sandy beach for sunning or swimming and even a diving platform. Basketball and volleyball facilities are on site too. You won’t get bored! Since there is no store on the lake you must bring all your groceries with you. Supplies can be ordered during the week, but this is an expensive option. Gasoline, oil, minnows, night crawlers are available at the camp. You can go trout fishing on Oba river or borrow our canoe and explore the peaceful shoreline. For a memorable one day adventure, portage to even more remote Clark Lake or visit the ‘ghost town’ of Mosher. Pick wild blueberries and mushrooms or just watch the fabulous birds and other wildlife. We’ll even give you free windsurfing lessons if you’d like! There is no better way to enjoy your days catch than having a shore lunch on a remote island. There are unlimited beautiful locations on the lake and firewood is plentiful. All you have to do is put it on the grill and savour the unforgettable experience! Since 1985 there has been this special place in my heart, a tiny dot on the Ontario map of Canada called OBA Lake. Where you will meet three of the most amazing and wonderful people you could ever meet, Michael and Hana Spazier and there son Andrei. 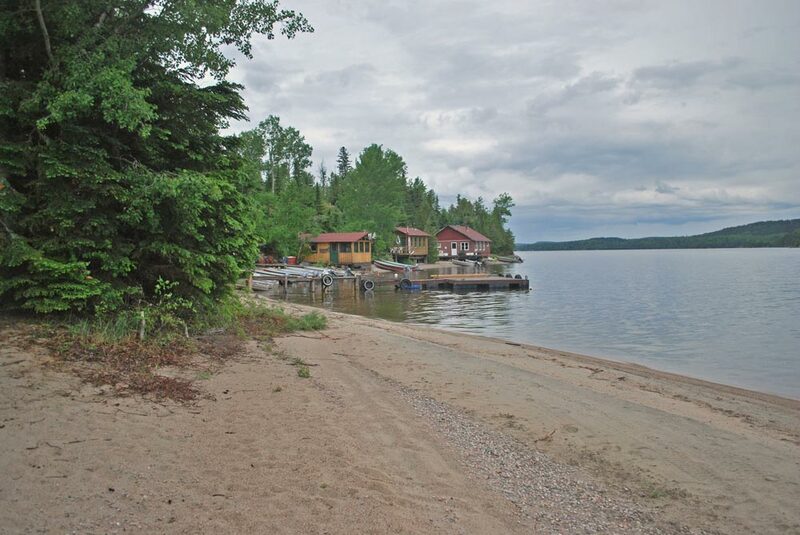 It is on that wonderful crystal clear lake surrounded by shear rock and beautiful Canadian landscape you will only find about 700 feet of beautiful white sand and eight of the most beautiful, rustic, hand built log cabins, and this place of sanctuary and beauty is called “WOODS CABINS”.